Bring out the bricks! 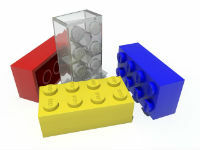 Every first Friday, kids in grades 2-5 are invited to our LEGO® block party. We’ll announce a theme at the beginning of the hour so kids can use their building skills to construct their creations. All LEGOs® provided.